In Scrappy Campaigning, Lucius captures the joys and struggles of running a political campaign, whether it is for a small local election or a large national one. This book is both personal and practical, and will help anyone interested in running for office or working on a campaign. While many people are baffled by politics today and want to "do something," she provides the tools and encouragement to contribute and be successful, at any level. She also details, through experience and analysis, the unexpected things that can happen during any campaign. While there are often negative experiences associated with leading any organization, this is a positive and encouraging book full of helpful lessons. Anyone who reads it will be prepared to run a successful scrappy campaign with their eyes wide open. 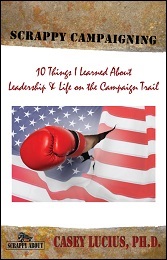 Whether you are the candidate, campaign manager, a volunteer or team leader, this book will prepare you to lead a team and stand strong in the face of any obstacle. 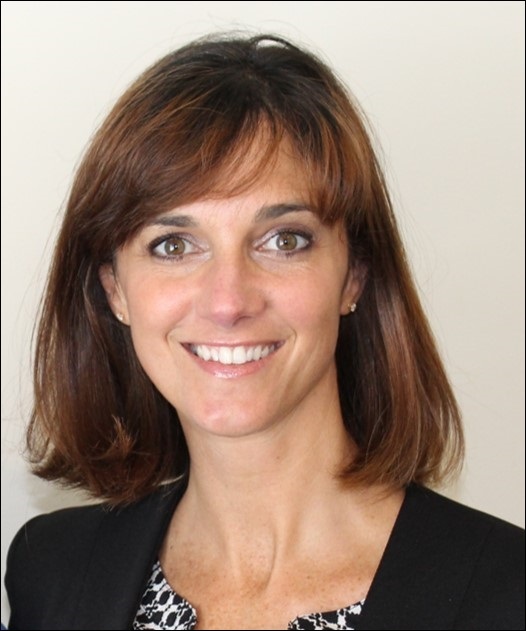 Casey Lucius is the founder of Launch Learning Systems focusing on strategic planning and succession management for municipalities, non-profits, and private industry professionals. Casey served on active duty as a Naval Intelligence Officer for seven years before becoming a professor of national security decision making and strategic planning at the Naval War College. In 2012, she was elected to the Pacific Grove City Council and in 2016 she ran for Congress. She has a Master’s Degree in National Security Affairs and a PhD in Political Science. Casey is married to Lieutenant Colonel Robert Lucius, USMC (ret). They have one son and too many cats.